MOORESVILLE, N.C. (October 9, 2018) – The NASCAR Camping World Truck Series (NCWTS) will be back in action this weekend after a three week hiatus. Bo LeMastus and the No. 54 Toyota Tundra will have a striking new look at Talladega (Ala.) Superspeedway as DGR-Crosley welcomes Fred’s onboard for the Fr8Auctions 250. Saturday’s race at the 2.66-mile track in Alabama will mark LeMastus’ 11th NCWTS start for the team he co-owns with David Gilliland, and his fourth start on a track greater than two-miles in length. 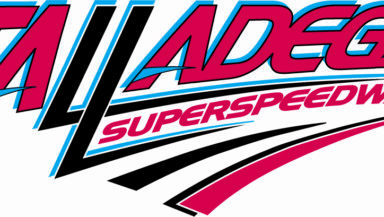 Although LeMastus will be making his first NCWTS start at the famed Talladega Superspeedway, the ARCA Racing Series veteran brings a wealth of Superspeedway racing experience to the No. 54 team. LeMastus has five-career ARCA Racing Series starts at Talladega where he has collected two top-10 finishes. In his most recent start there earlier this spring, LeMastus qualified sixth and was on-pace to record a finish inside the top-10 before he was caught up in an accident on the last lap of the competition. About Fred’s: Tracing its history back to an original store in Coldwater, Mississippi, opened in 1947, today Fred’s Inc. is headquartered in Memphis, Tennessee, and operates 601 general merchandise and pharmacy stores, including 14 franchised locations, and three specialty pharmacy-only locations.